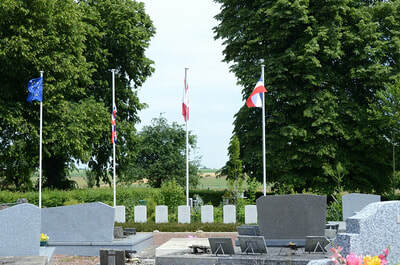 Achiet-le-Petit is a village and commune about 19 kilometres south of Arras. Take the main road from Arras to Bapaume (N17) and at Ervillers turn right onto the D9 towards Achiet. 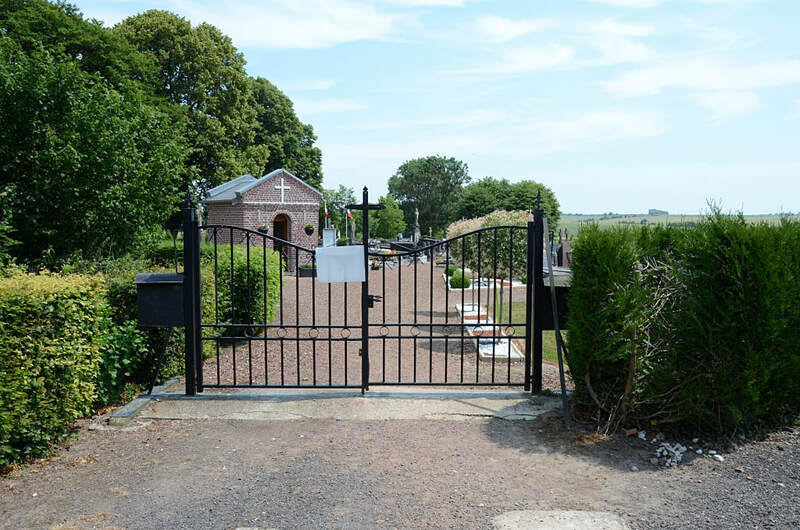 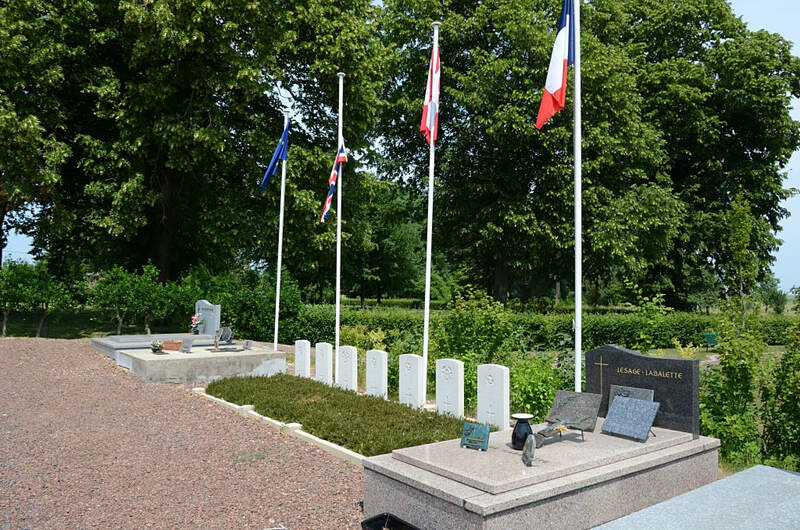 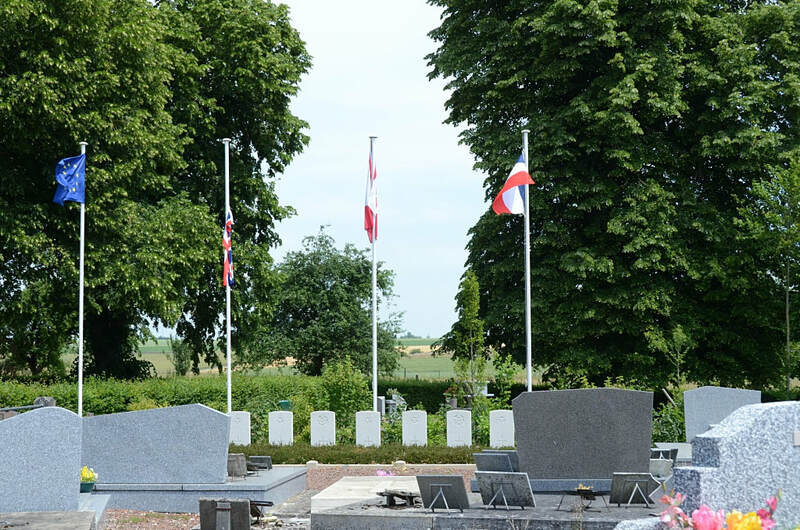 The cemetery is on the north-eastern side of the village on the D9 road to Achiet-le-Grand. It contains the graves of 7 Commonwealth 1939-45 war airmen. These will be found near the centre of the eastern boundary of the cemetery. 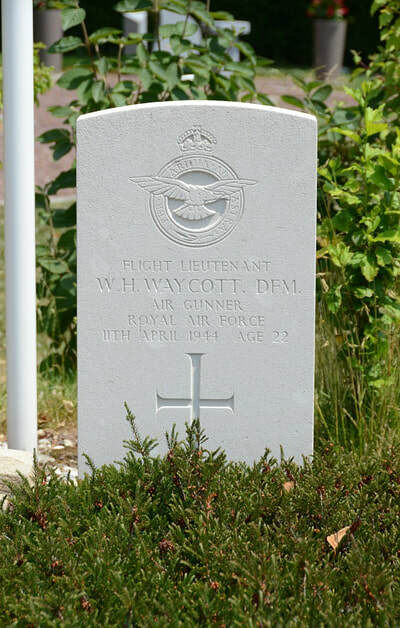 Incident: The aircraft crashed at Achiet-le-Petit on 11th April 1944.. 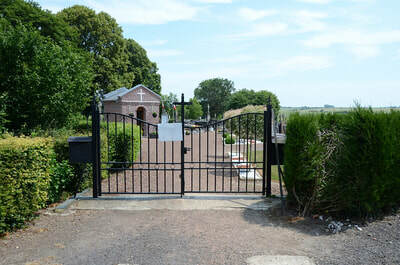 There were no survivors. 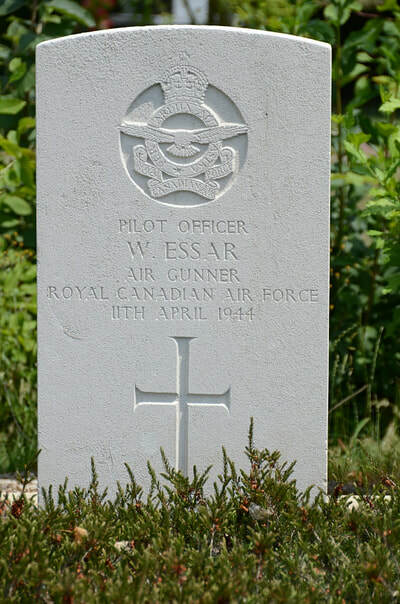 J/90741 Pilot Officer William Essar, Air Gunner in 550 Squadron, Royal Canadian Air Force, died 11th April 1944. 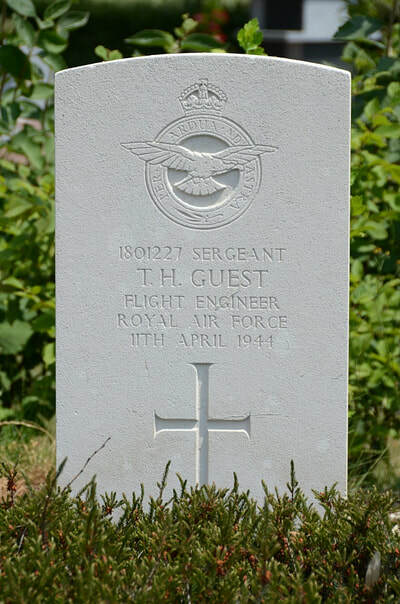 1801227 Sergeant Thomas Henry Guest, Flight Engineer in 550 Squadron, Royal Air Force Volunteer Reserve, died 11th April 1944. 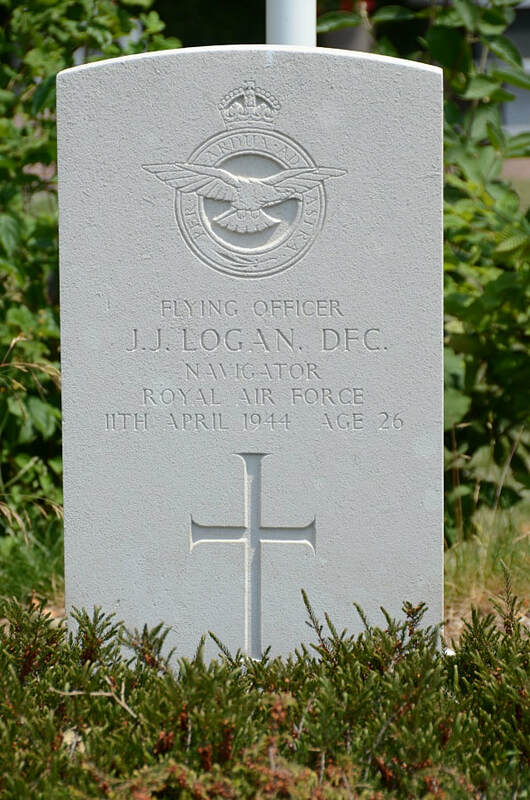 135108 Flying Officer John James Logan, D. F. C. Navigator in 550 Squadron, Royal Air Force Volunteer Reserve, died 11th April 1944 aged 26. Son of George Charles and Janet Georgina Logan of Penicuik, Midlothian. 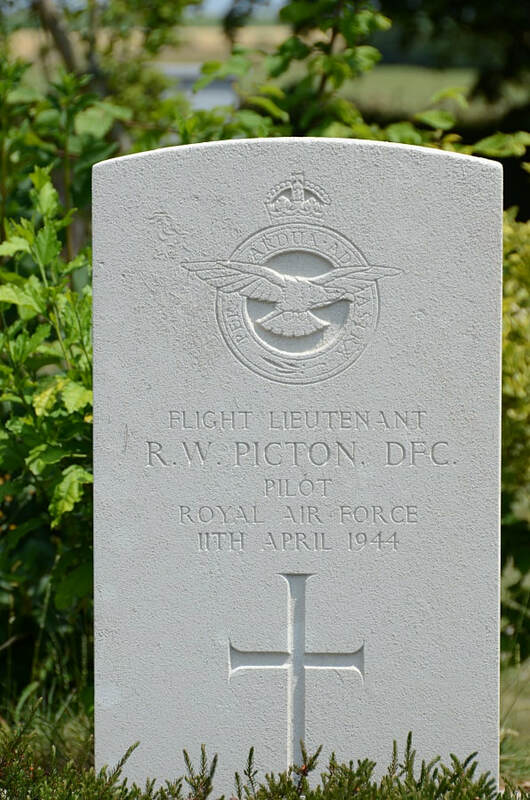 129769 Flight Lieutenant Richard William Picton, D. F. C. Pilot in 550 Squadron, Royal Air Force Volunteer Reserve, died 11th April 1944. 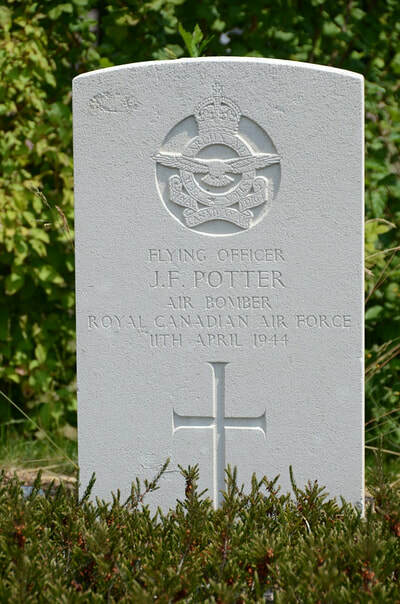 J/21336 Flying Officer John Foster Potter, Air Bomber in 550 Squadron, Royal Canadian Air Force, died 11th April 1944. 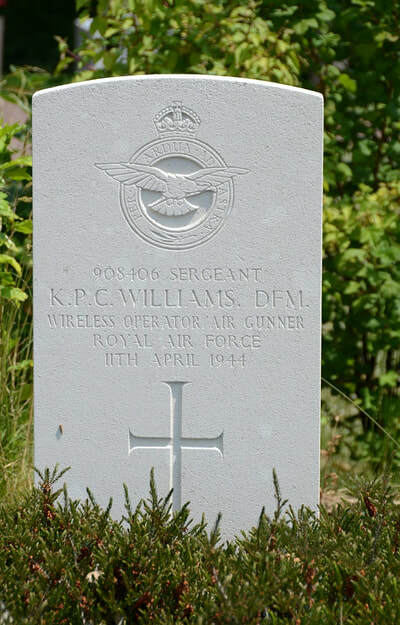 908406 Sergeant Kenneth Percy Charles Williams, D. F. M. Wireless Operator/Air Gunner in 550 Squadron, Royal Air Force Volunteer Reserve, died 11th April 1944.